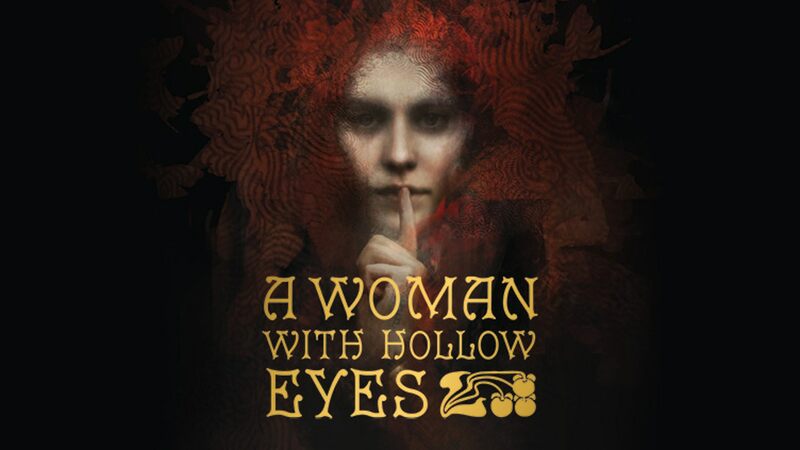 A Woman with Hollow Eyes is an Invisible Sun actual play created by One Shot RPG’s James D’Amato in collaboration with Monte Cook Games’ Darcy Ross. The primary cast is Darcy Ross (Game Master), James D’Amato (as Calvin Weaver), Kat Kuhl (as Kitty Hart), and Alan Linic (as Wayne). The series has completed one season so far — 12 episodes, plus an assortment of supporting content, including Development Mode sessions and audio diaries. When Calvin Weaver returns from Shadow, his missing memories draw Kitty Hart and Wayne into a web of danger and deceit. As the three attempt to reconcile, remember and dodge their pasts, they journey across the Suns, confront & save both Angels & Demons and struggle against forces darker still. Their paths will lead them through love, longing and heartbreak, towards secrets that will shake them to their cores. Calvin Weaver – A newly returned Weaver with memories like birds, coming home to roost. Kitty Hart – Goetic and wayward daughter of the Hart Family, Kitty Hart has half of one. Wayne – Maker turned Apostate, Wayne’s quest for his missing person leads through dark places. Lucky Strike – Kitty Hart’s matchbook familiar. Ari-Eloah – Behold them! A dual-natured & headed, bombastic, angel. Libralite – a Grimorian, veteran of the War and a generous community minded soul. Daniel McPhearson – He makes sausages. What’s so scary about that? Opinie – Former museum curator now ghostly Pale embassy staff. Arikesh – a demon that refuses to take a set physical form. Imago – Moth demon, Queen of Thieves and friend to Kitty Hart. The Hunger – Wolf demon with an interest in emotion mining and a mouth that opens much to far. Agamemnon Butler – Arachnid memory tinker with a frustratingly short life-cycle. Victoria Xu(?) & her journal (Sophie) – An explorer of the Suns, her journal recently gained sentience. (List Session Zero, as well as extant bonus materials, such as audio diaries). In addition, provide a comma-separated list of interesting characters, places, and items (events will be contained on the episode page, in outline form) from each episode. After finding out a dead family member who shares her name, bought her debt, Kitty Hart looks for a way to protect herself. In order to find a way to the Blue Sun Wayne enlists Calvin and Kitty to accompany him. Meanwhile, Calvin struggles to adjust his new life and powers. Beings: Calvin Weaver, Librolite, etc. Places: The Wayne-O-Sphere, The Fine Jubilee, etc.